This replacement shaving head features a GyroFlex 2D system that easily adjusts to the curves of your face and a SkinGlide shaving surface that slides smoothly across your skin for a close, clean cut. Designed to follow the contours of your face, the RQ11 shaving head utilizes GyroFlex 2D, two-dimensional technology that allows the razors to pivot in a circular motion and tilt inwards. Its system adjusts easily to every curve, minimizing both pressure and irritation. 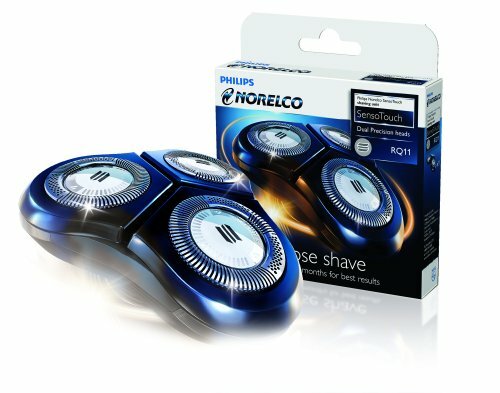 Designed for use with Philips Norelco Shavers 6100, 6500 and 66000 (formerly SensoTouch 2D electric shavers).